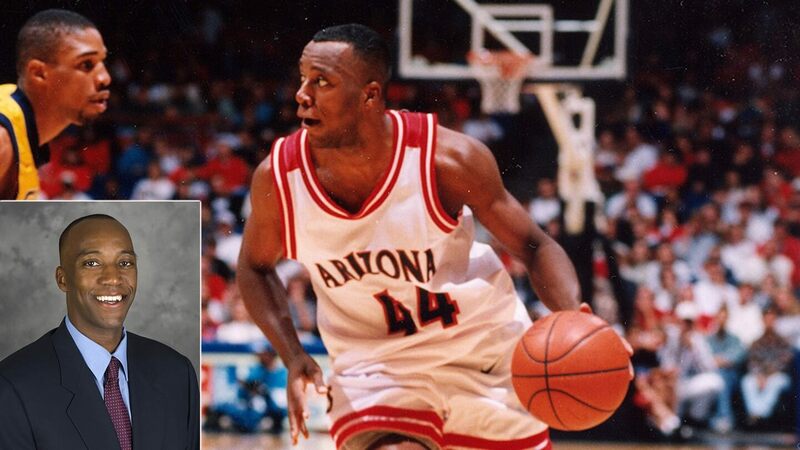 Arizona Basketball alumnus Reggie Geary is returning to Arizona Athletics as a member of the Development staff. TUCSON, Ariz. – Arizona Athletics welcomes a former Wildcat back to McKale Center with the hiring of Reggie Geary as Director of Development. The former Arizona Basketball standout from 1993 to 1996, who later returned to the program as a member of the coaching staff, will assist in the development and fundraising efforts of the Wildcat Club. With business and coaching experience, Geary returns to Tucson following an eight-year stint as a professional coach in Japan where was the head coach of the Mitsubishi Diamond Dolphins and the Chiba Jets. The Southern California native was a member of coaching staffs at SMU, Arizona and the NBA Development League prior to coaching in Japan. Geary was a three-time captain of the Arizona Wildcats for Lute Olson and a part of two Pac-10 championships. The guard was an All-Pac-10 selection and member of Arizona’s 1994 Final Four team while still ranking in the top ten of the career record books in steals and assists. He was selected by the Cleveland Cavaliers in the 1996 NBA Draft, playing for the Spurs a year later. Geary continued his professional playing career in the CBA and in Europe.